This pampered beauty resides at a coastal resort in NC. 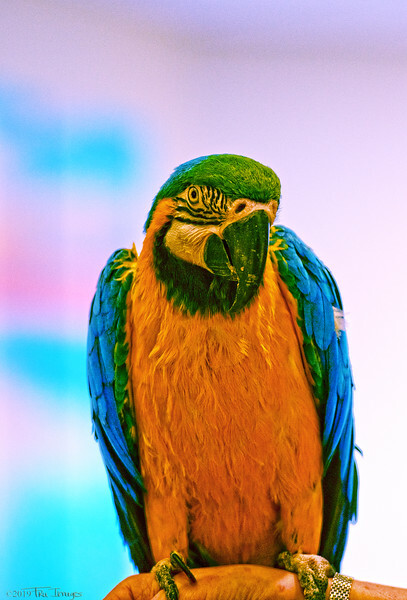 During the summer months he is one of two friendly Blue and Gold Macaw Parrots perched in the lobby to greet guests..
very lovely shot of the Macaw. lovely colors! Wonderful capture of this colorful fellow with great detail. Amazing colors. I just can imagine that I can hear it talking. This is great!